CounterPoint SQL has so many customizable options. 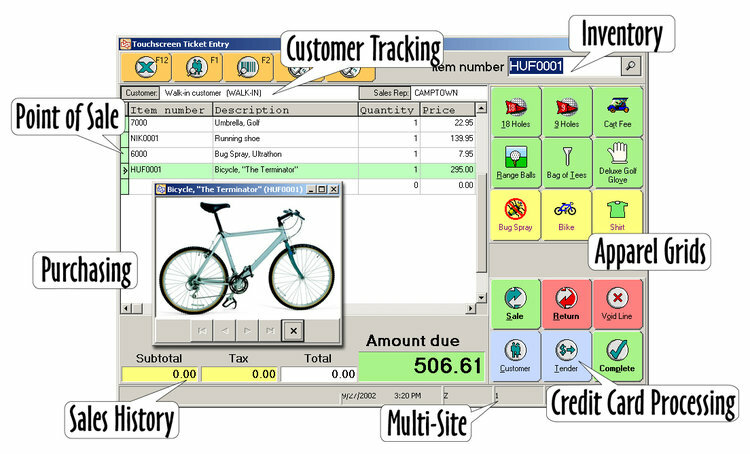 It is very user-friendly and makes Point of Purchase write ups easy for sales staff. We are continually finding new and better ways that this system can work to simplify our processing. CounterPoint SQL is a complete retail management solution that adapts to the way you do business, allowing you to run your business more efficiently and effectively. Call today to discuss converting your CounterPoint Version 7 system to the latest NCR CounterPoint SQL! Stay on top of your inventory & Much more! NCR SecurePay allows you to obtain card authorizations from your processor using the Internet instead of dialing out for each authorization. This method is much faster and more reliable than dial-up communications and can provide 2-second authorizations. Credit card, debit card, and check authorizations via the Internet. NCR SecurePay is a CISP compliant service. Faster settlement times which means customers are getting through the lines faster. We understand the importance of absolutely reliable credit card processing. NCR SecurePay is designed to stay in operation 24 hours a day, 7 days a week, 365 days a year. If your local Internet service fails (your ISP or communication lines go down), we have a solution to allow you to process credit cards without an internet connection. With NCR SecurePay, your shopper’s credit card information is safe and secure. NCR SecurePay is a CISP compliant service. The Cardholder Information Security Program (CISP) is a program implemented by Visa to ensure that cardholder information is secure and protected against identity theft. NCR SecurePay complies with all CISP requirements, including a firewall to protect credit card information, data encryption, anti-virus protection, regular security testing, and more. As a CISP compliant service, NCR SecurePay also adheres to the Payment Card Industry (PCI) Data Security Standard. Want to learn more about our Software options?